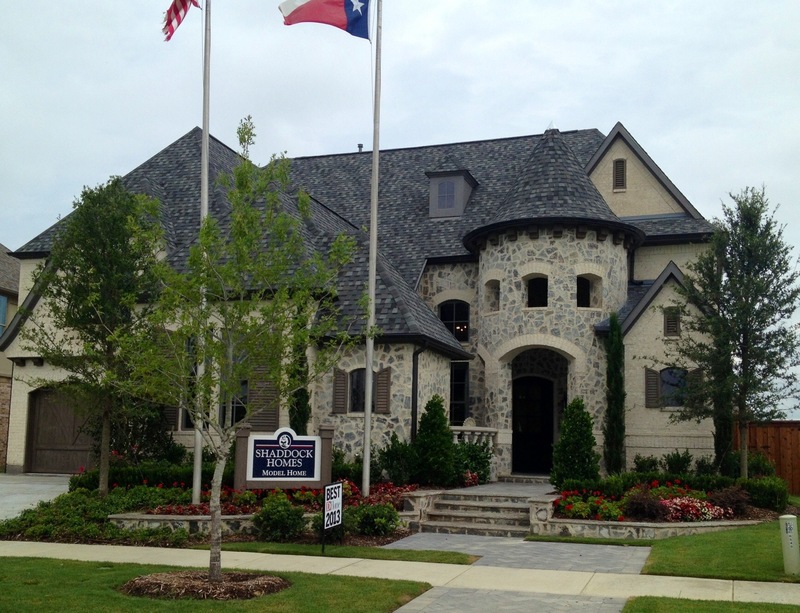 After Toll Brothers Development decided not to purchase this prime 311-acre property off of Stonebrook and Legacy to develop in Frisco about 9 months ago, I knew it was only time! 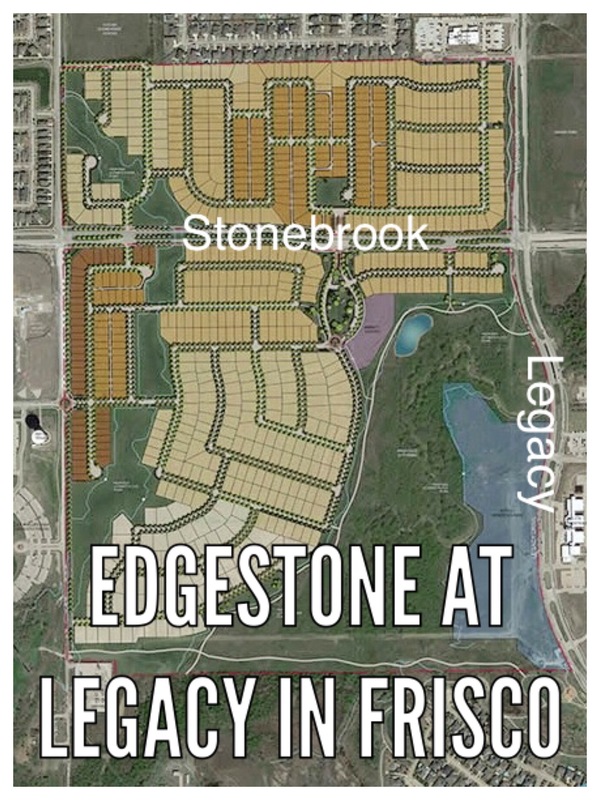 Edgestone at Legacy in Frisco will be developed by Hines Development and Canadian partner Trez Capital L.P.
Real Estate is about location and The Edgestone at Legacy in Frisco will be the second best location in Frisco in my opinion. Second only to Starwood. There is too much commercial development being developed within a mile from this location for it to fail. 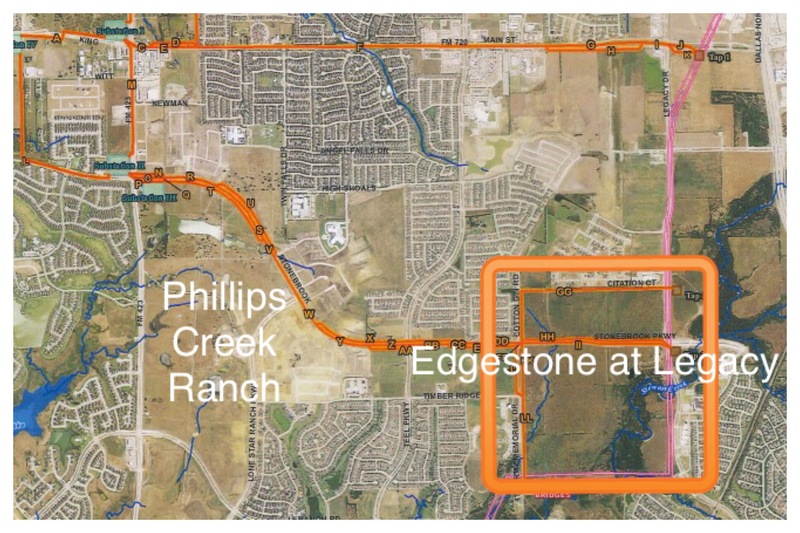 And more importantly, Stonebrook Parkway plans to FINALLY be complete to the North Dallas Tollroad which will allow residents of Edgestone about a 3 minute drive to the main North/South thoroughfare in Frisco! I have driven by this piece of land hundreds of times wondering, “What is the deal? Why is this not being developed?” After hearing that Toll Brothers placed it under contract a couple reasons were finally pointed out to me on why it took so long. Bert Fields was and still is a Frisco ICON! He was a very savvy Texas oilman, banker and rancher. Bert knew business! At only 23, he took over the family business of Oil and Banking and basically built it into an empire! In 2011, his North Dallas Bank & Trust celebrated its 50th anniversary with assets over 1 Billion Dollars! Not to mention the other thousand acres he also owns in Frisco. So clearly, there was NO REASON to sell the property off for development. 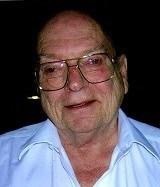 Bert unfortunately passed away in January of 2015 but already had plans to sell the property to Toll Brothers prior. 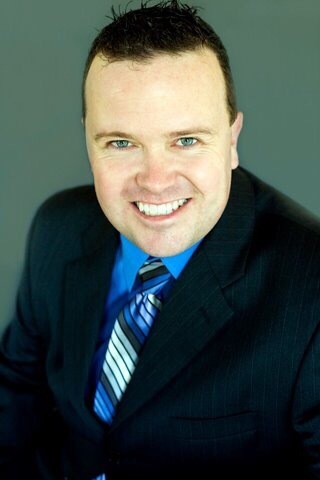 So Bert was just being Bert by holding the property for the absolute best time to sell, and it’s unfortunate he will not get to know how incredible his decision was! Developers try their best to make communities beautiful, but more importantly they try to make money. That caused a very big concern for Edgestone at Legacy with the acerage of the natural 100 year floodplain. My best guess is 30 to 40% of this piece of land is in the floodplain. For the developer to make this site work they will have to either chop the lots up into very small lots or way over charge the builders on their lot cost. Which obviously means the prices of homes here will not be cheap! From the plat map, the current lot sizes look to me as 50 foot wide patio homes and 65 foot single families on the North side of Stonebrook. And 65,75,85+ foot wide lots on the Southern side of the property. Hines is very early in this but from my experience with developers and what is currently taking place in Frisco with the high lot costs, my best guess for the the smaller 65 foot wide lots would be around $140,000 and maybe $150,000! If that is the case when they most likely open towards the end 2016, my best guess that prices would start in the $600’s up to the Millions. So to be in this incredible new community it is going to cost you. 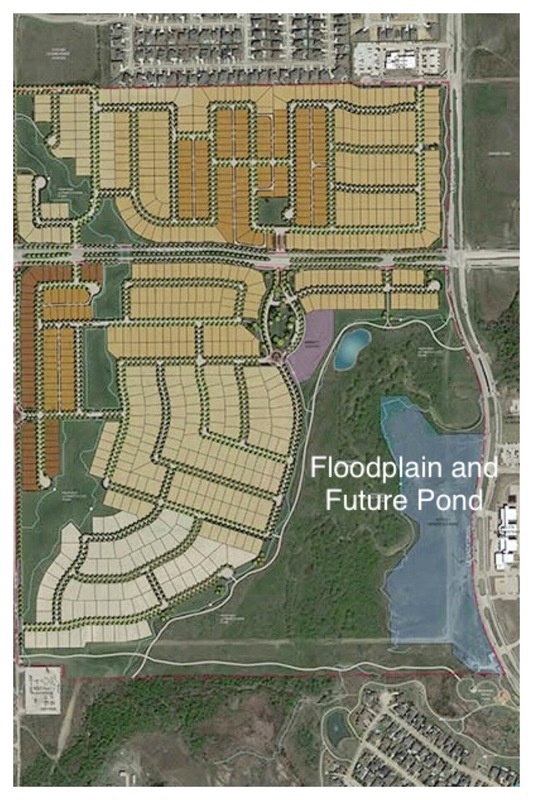 They do have around 10-15% of the land highlighted senior housing and office to help offset the floodplain location. 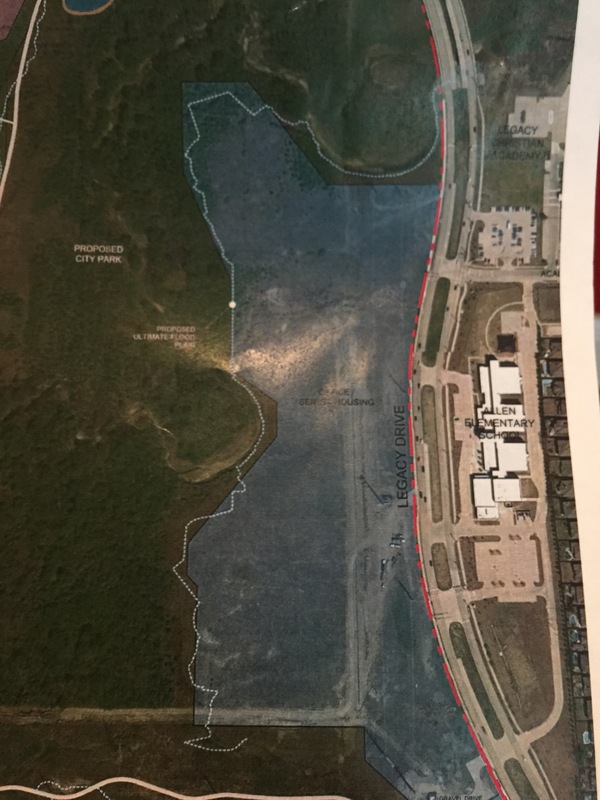 Current plans show a beautiful entry, large amenity center, a proposed city park in the floodplain, a long hike and bike trail by the mature trees and a man made pond. 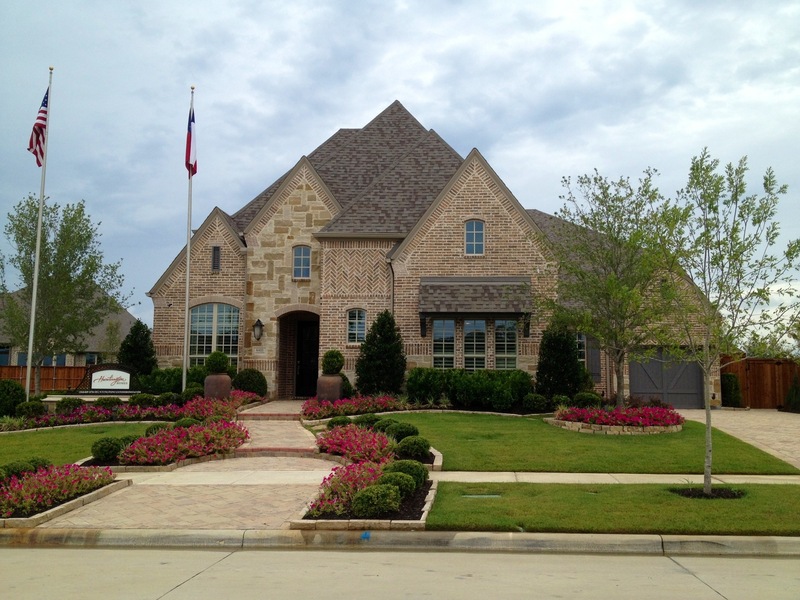 Current plans are for Coventry Homes, Darling Homes, Highland Homes, Huntington Homes, Key Life Homes, Shaddock Homes and Village Builders to start initially in the new Edgestone at Legacy project in Frisco. These builders better bring their A-Game to be successful, and I know most of them for sure will! It’s a great mix of builders announced and with the Dallas Cowboys coming and Grand Park, I don’t see why it won’t be an absolutely amazing community in the future! 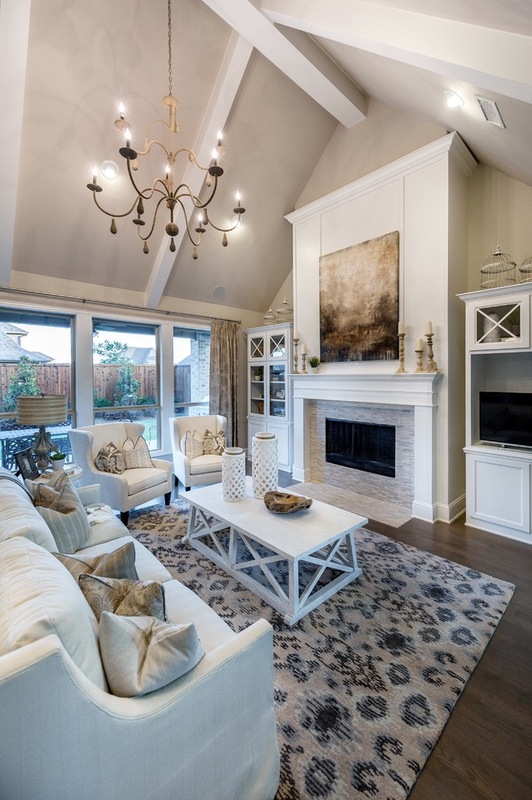 Huntington Homes at Phillips Creek Ranch in Frisco is definitely your luxury builder! They definitely have pretty much everything you need as a standard! 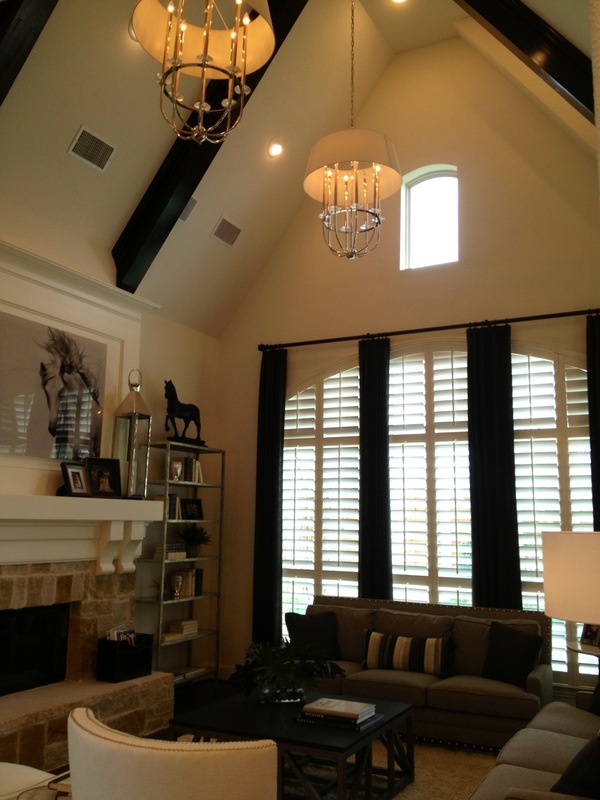 You can tell when you walk in to the model that the quality and craftsmanship is first class by their exterior elevations. You know it’s a Huntington Home. They have their own look. Beautiful curved posts as you walk through the entry to the kitchen and family room in the model at Phillips Creek Ranch. Above is a beautifully designed second formal or can be used as a large study. 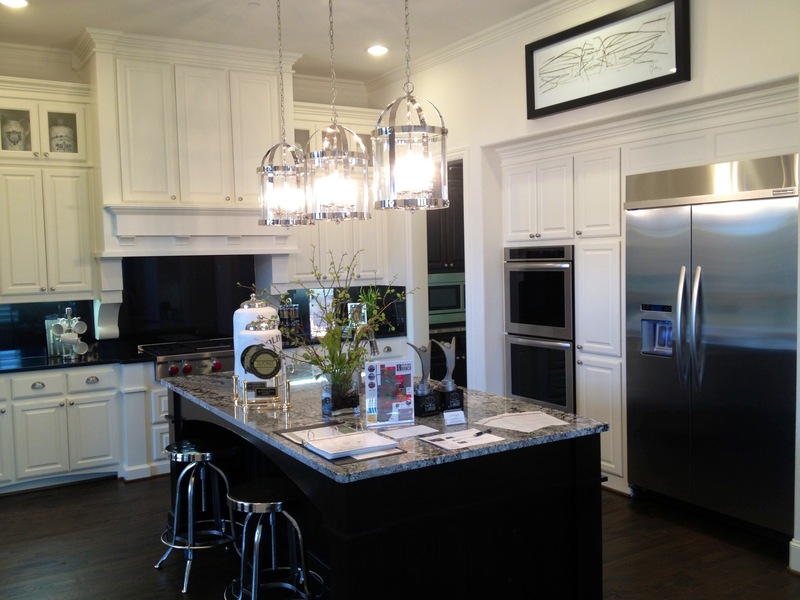 A definite chefs kitchen with everything that you could possibly need including a landing strip for the island! 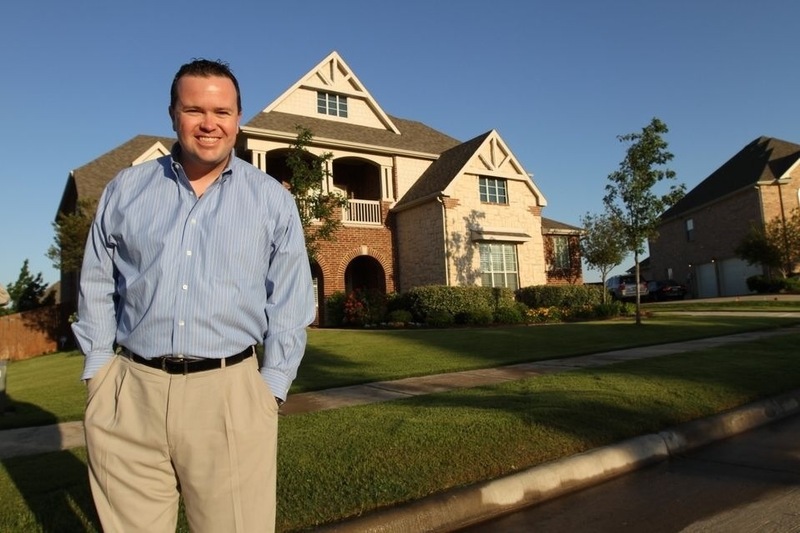 Huntington has a total of 17 lots in their first set of lots in Sheridan and are located in the best location in all of Phillips Creek Ranch in my mind. 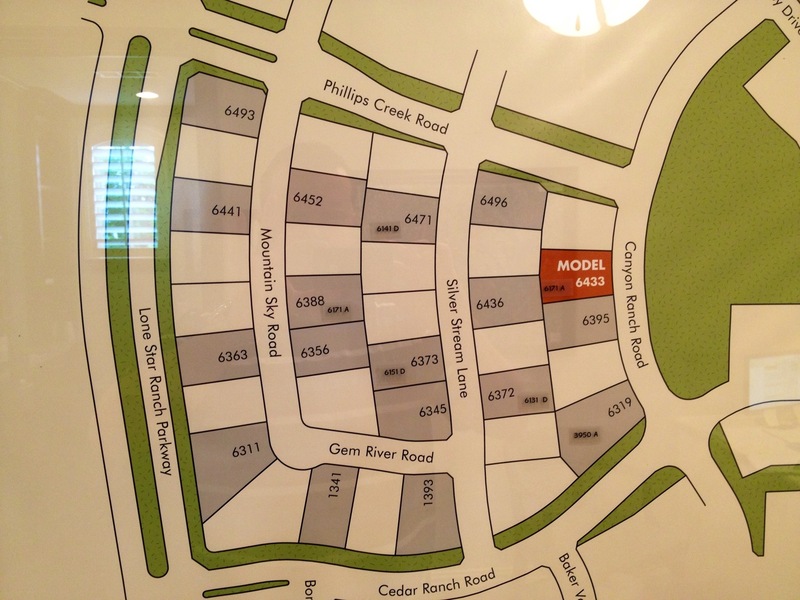 They have sold 6 homes and will have 3 specs ready to move in by November. 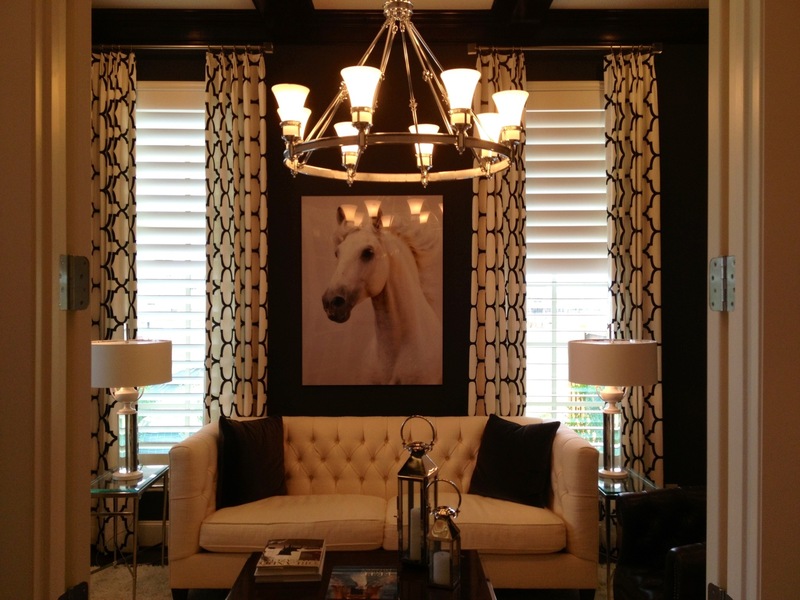 They start around 3,500 square feet and can go all the way up to around 5,500 square feet. They are on the standard lots of 83 feet by 132, and they are big! Prices start in the $650’s and go up to $800’s. 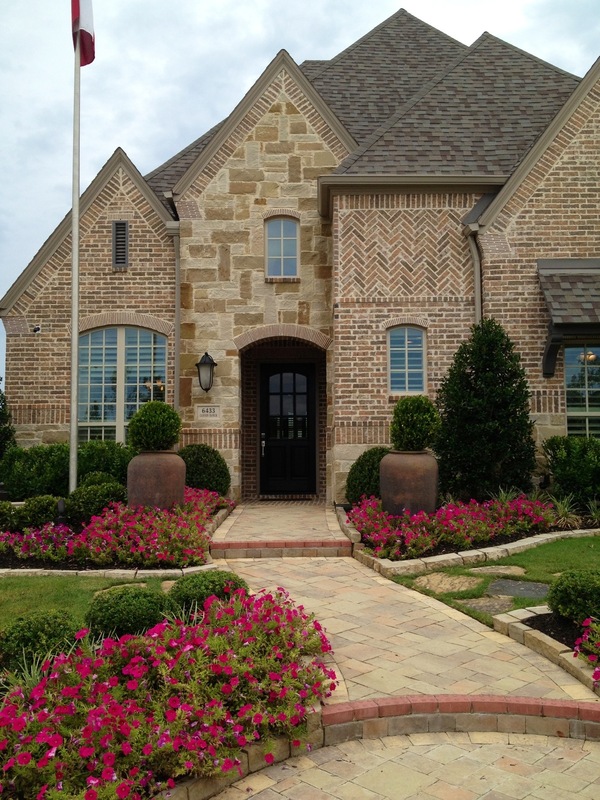 For more info on Huntington Homes at Phillips Creek Ranch call Brad Holden at (469) 733-2723.